Thea Queen accidentally gained the memory of the passerby and knew his future destiny. In short, this is the story of a beautiful girl who is doing things in the DC world and embarking on the peak. 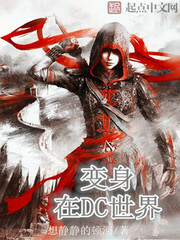 As a former lover of Arrow,i like this novel to keep updating till the end,:3 atleast i hope amd wish! As i’ve loved arrow series,I want to know howlong it take to have another update so that i can waite and read…..plz and also thz for the work! More plz! Thz for the work!